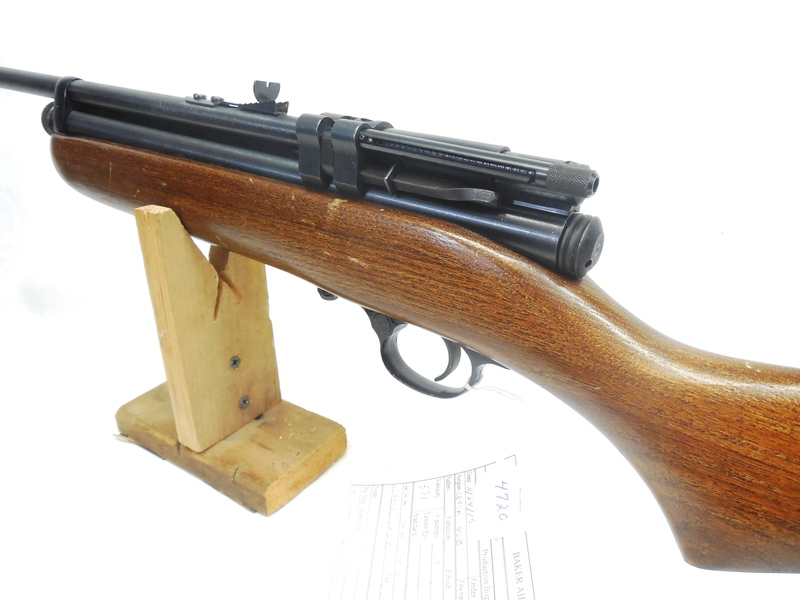 The Crosman Model 400 was made from 1956- 1967. 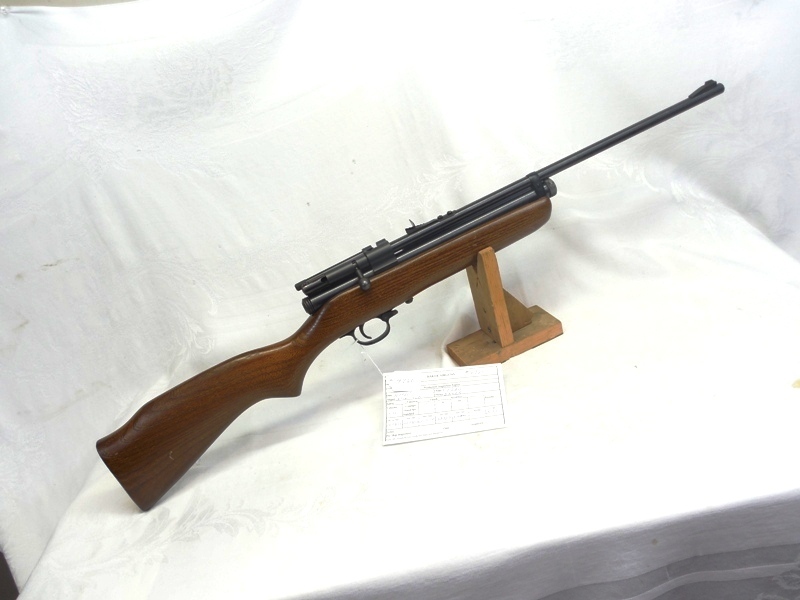 The Model 400 is a .22 pellet caliber using two 12. Gram C02 Powerlets. It is a repeater with a 10 shot spring loaded magazine. It has a full length wood stock. This is the second variant with the safety in the die cast trigger assembly, made from 19620-64. 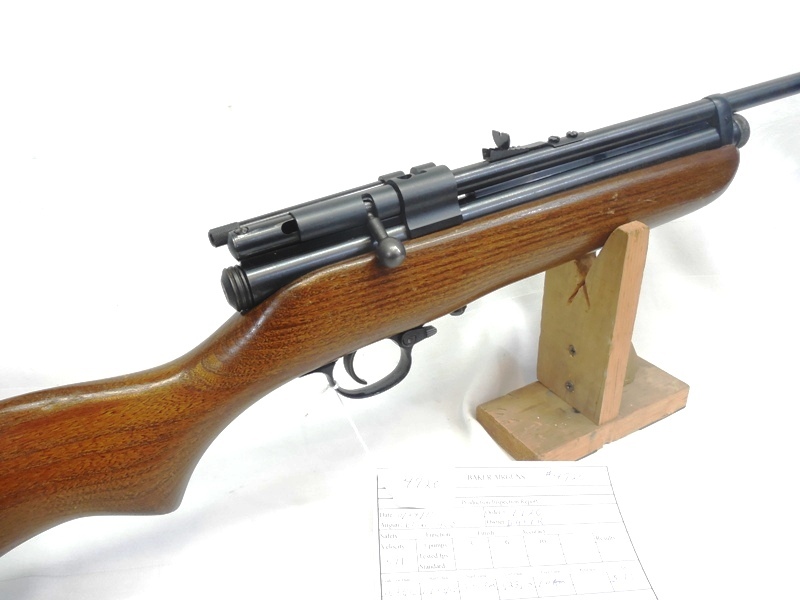 This has long been a favorite of Crosman shooters and collectors for many years. This one is in excellent condition. 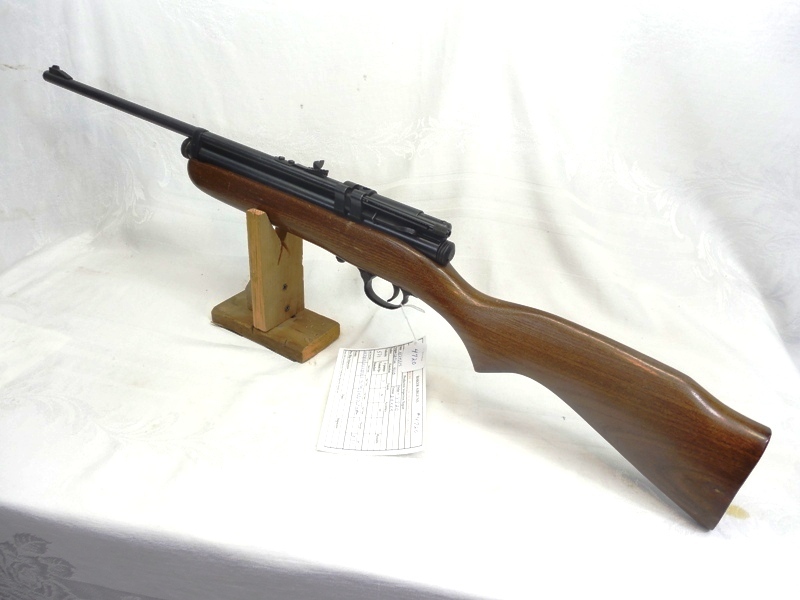 The wood stock has a few light dings and scratches but it is still very nice. The metal retains about 95% of its original finish and is in beautiful condition. This is really a nice one.